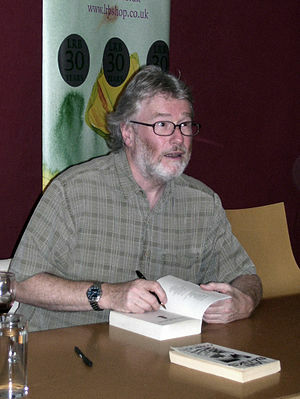 Sad news today about Iain Banks – it reminds us how short life can be and how fickle. I have read many books these last few months, but not a single one by Iain Banks, although not so long ago downloaded his Use of Weapons (Iain M. Banks) – he gets so many good reviews that I realise it’s been a gap in my reading. It is said to hear that someone so obviously in the prime of writing and such an acclaimed writer has terminal cancer. As I noted, I have read quite a few books by different authors, although I have done little in the way of reviewing. The usual excuses come up: too much time spent on writing work reports which leave me without much inclination to pick up the laptop once more in the evening or over weekends to write and post some more. Amongst other books I read Toby’s Room by Pat Barker, for the second time, and appreciated it much more this time round. Nevertheless, I do think Barker’s characters are emotionally kept at a distance from the reader. There is trauma, but observed through the eyes of someone who does not want to be engaged. Elinor in this novel comes across as fairly cold, she does not want to ‘engage’ with the (first world) war, wants to keep it at a distance, nevertheless, her friends and family are caught up in it, are destroyed by war and the horrors of war. The intertwining stories of war, Elinor, her brother Toby, lover Paul, friend Kit Neville, and fellow painters, are nevertheless gripping, and come together well. Hermione Lee provides an excellent review of this book (and her other books) in the Guardian here. I’ll catch up with some of the other books although I am seriously reconsidering my approach to this blog. I want the posts to be short and snappy, rather than long and drawn out.